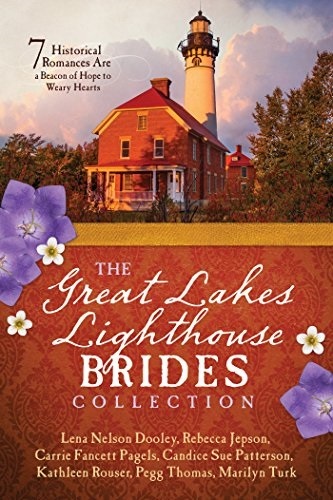 Love your books and would be thrilled to be able to read "The Disappearing Ship" in the wonderful book "The Great Lakes Lighthouse Brides" collection. Love that it's a mystery. Thank you for the opportunity to win a copy of this book! So many great author's and amazing stories. Thank you for the chance to win a copy of this collections book, they are my favorite kind of book. I enjoy the variety of stories and finding new authors while enjoying some of my favorites. How exciting to be one of the authors of this collection! Lena, "The Disappearing Ship" is an intriguing title. Can't wait to see how the mystery unfolds. I've been to Whitefish Point's lighthouse. It is a BEAUTIFUL place, and one of my favorite stops in the UP. I would love to read your story about it, Lena! 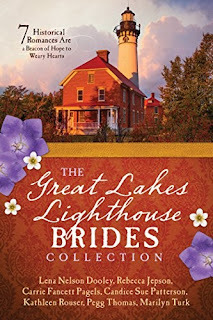 Having grown up in NO (I don't live there anymore) I would love to read this collection! That was supposed to be grown up in MI! The story sounds very interesting. After reading the section you shared, I like to read the whole story. I live in Kansas. I enjoy these Barbour Romance Collections!